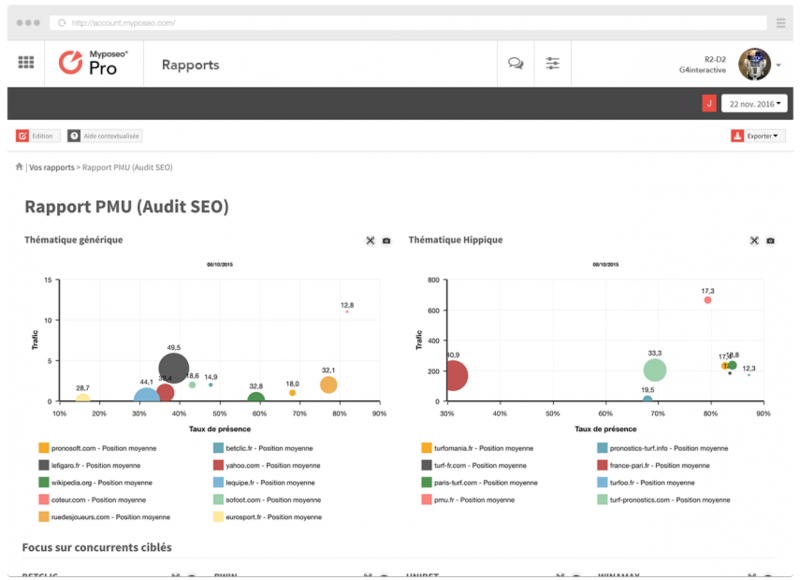 Create, compile and customise performance and visibility reports in your Myposeo account and integrate data from all tools (SEO/PPC Tracking, SEO/PPC Audit and SEM Analysis). Create your customised ranking report by inserting the most relevant data for your SEO reporting. Create and drag and drop lines and blocks to organise your customised report. Choose the formatting and visualisations of your data (tables, graphs, bars, pie chart, etc.). Schedule and receive your weekly or monthly reports and focus on statistical analysis. Custom SEO and analytics ranking reports. 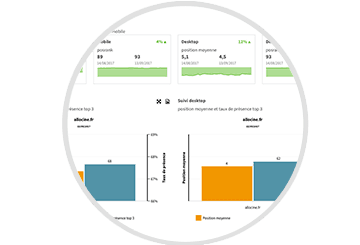 Customise and create via a drag and drop system and comments so that your customers and collaborators can analyse and enjoy the ranking and audience data collected by Myposeo. 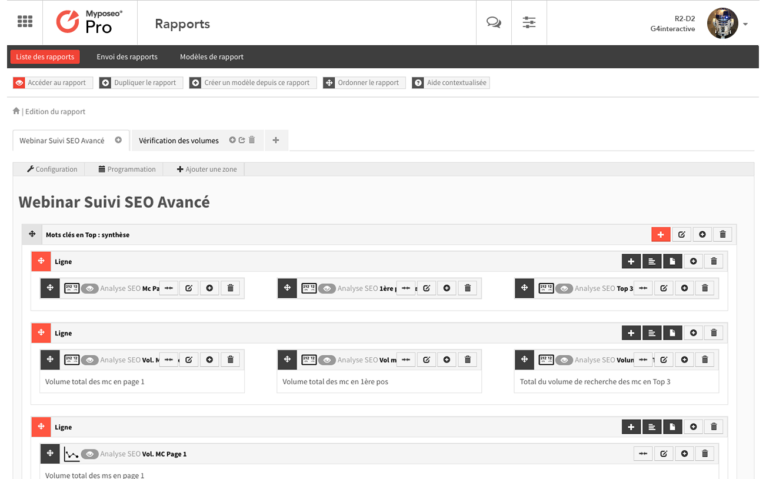 How to use the report tools? Check out our use cases dedicated for reporting tools. Learn how to use Myposeo to track and optimise your site’s visibility.